This summer I am all about Flamingos!! 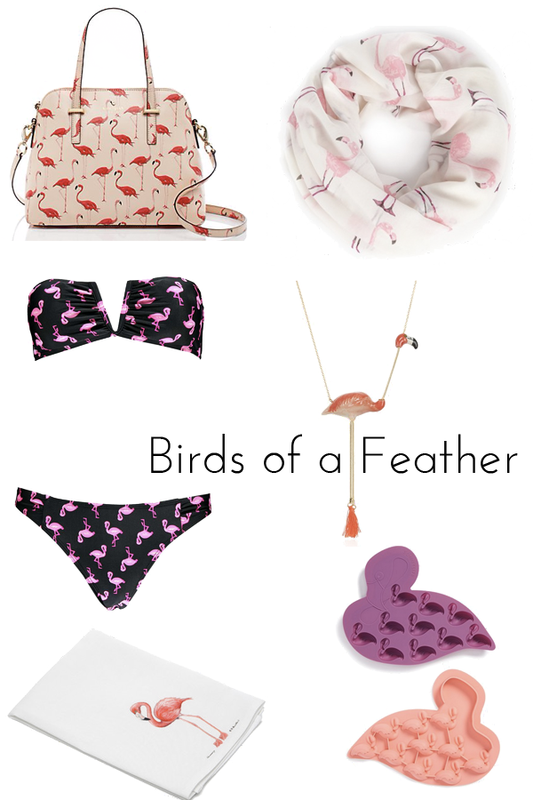 From the first time I saw the flamingo print on Kate Spade's summer collection, I've been HOOKED. Flamingos remind me of sun, beach, and just overall summer happiness. FLAMINGO EVERYTHING PLEASE! Since we went to Key West for our anniversary I couldn't think of a better place to rock the flamingo shirt. I wore this look out to dinner and drinks Saturday night in Key West. I had to pair this shirt with a feathery skirt! And I'm glad that I did, I got so many complainants on my look! More then I thought I would. What do you think of the flamingo print? I remember that skirt ;) I love the feathered skirt paired with a flamingo tee - very kitschy!